Richard Condon FRCS. FRCOphth. DO. A graduate of University College Dublin and trained at Moorfields Eye Hospital, London, Charing Cross Hospital, London and the Western Eye Hospital, London, where he was Senior Registrar and Senior House Officer. The 5 years Senior Registar at Moorfields and Charing Cross Hospitals involved detailed exposure to all aspects of Ophthalmology. Particular interests and emphasis in training included all form of Anterior Segment Eye Surgery, Cataract/Lens Implant, Glaucoma Care/Surgery, External Eye Diseases and Neuro-Ophthalmology. These subspecialties are his special interests in Private and NHS practices. 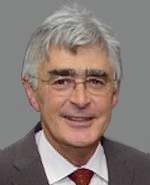 He holds Fellowships at The Royal College of Ophthalmologists London and The Royal College of Surgeons Edinburgh, and memberships of The Royal College of Ophthalmologists, The Oxford Congress of Ophthalmology, The American Academy of Ophthalmologists, The American Cataract and Refractive Surgery Society, and the United Kingdom and Ireland Glaucoma Group.